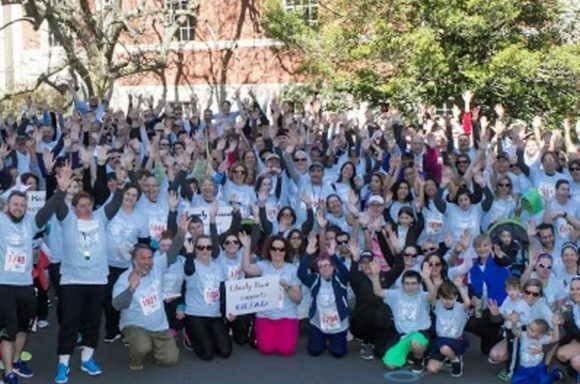 AREAWIDE — Gilead’s 3rd annual road race will be held this Sunday, April 8, at the Middletown Legends 3.5 mile road race to raise awareness about mental illness. Last year, 360 runners, walkers, volunteers, and cheerers made it to the finish line. It wasn’t just the weather that made the day so beautiful, it was enthusiasm, commitment and generosity that really made this day such a success. Together, $33,000 was raised for individuals receiving Gilead services. To raise awareness about mental illness and how many people are impacted. To support a wellness initiative that brings clients, staff and community together. To grow our team to 500 people in celebration of Gilead’s 50th Anniversary. To raise funds to continue providing quality mental health services to over 600 individuals living throughout Middlesex County. Check out Race for Every 1 FAQ’s for additional information. REGISTER HERE and you’ll be directed the Hartford Marathon Foundation website, where you can also find more details on the race. To check out the race route, click here. TEAM GILEAD has set up a fundraising page to make it easier for you. Access it by clicking on this link to Crowdrise. Join a team and then ask your friends, family and co-workers to support you. They can donate to you online or write you a check, use a credit card or donate cash. Click here for a sample note/email you can use to ask your friends and family for support. If you don’t want to join crowdrise, but would like to donate to a Team Member, just click the Team tab and then on their name/picture.